The Dilbert Principle – What is it? It may sound a bit sarcastic but there are many absurd things in business. Stupidity, dumbness and foolishness are the order of the day, business as usual. It is part of it, even ensures progress, because others benefit by doing better. 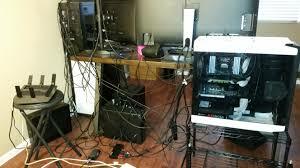 But how is it possible if people work together they make so many blunders? Are managers really slackers, like in the Dilbert comics? And what is the Dilbert Principle anyway? Is the corporate world really so bizarre? Read on and you will also find my number one recommendation for becoming your own boss and leave the corporate jungle. According to Wkipedia: ‘The Dilbert principle refers to a 1990s theory by Dilbert cartoonist Scott Adams stating that companies tend to systematically promote their least competent employees to management (generally middle management), to limit the amount of damage they are capable of doing’. Scott Adams explained it further as follows: “I wrote The Dilbert Principle around the concept that in many cases the least competent, least smart people are promoted, simply because they’re the ones you don’t want doing actual work. You want them ordering the doughnuts and yelling at people for not doing their assignments—you know, the easy work. Your heart surgeons and your computer programmers—your smart people—aren’t in management. That principle was literally happening everywhere”. So, let me get this, if you are really good at your job, according to this principle, you might not be promoted, just because you are really good at your job?! Sounds absurd doesn’t it? It gets even worse. And here they are, the three absurdities of management: Dumbness, stupidity and foolishness. Dumbness: you do not know what you have to do. Stupid: you know what to do but do something else. Foolish: you do something without knowing what you are doing. Make no mistake, this all occurs in many companies. And it happens much more often than it should. Managing is a complicated profession. You can not do it naturally. In private life we can manage reasonably with the skills we have received going through childhood, but in the company it is suddenly a bit more complicated. There are so many different goals to be realised. You must be reasonably understanding with others; you have to get ahead of yourself; you have to set the goals in order to realise the targets of the company; you have to keep an eye on the relations and you should not affront anybody; you should also listen to the customer. And you also have to take care of your private life, so that it is not compromised. In the light of these absurdities Cartoonist Scott Adams’ associated comic strip “Dilbert” consistently ridicules the corporate world and the freakish characters who dwell there. In the 1990s, Adams developed his own satirical “Dilbert Principle” in response to the popularity of human resource dictums such as the “Peter Principle.” While the Peter Principle holds that competent employees are routinely promoted until they reach a level of incompetence ( you can read all about this by clicking here), this principle suggests that incompetent employees are often promoted to management positions simply to prevent further damage in the working ranks. Under the Dilbert Principle, an incompetent software designer would be “promoted” out of his or her department in order to allow other competent designers an opportunity to work in peace, for example. The newly promoted manager would be able to fill his or her day by attending ineffectual meetings and composing mission statements, while the rank-and-file workers could get on with actual company business. When the whimsical Dilbert Principle first appeared in print, most human resource and business organisation experts considered it to be nothing more than a humorous take on the ruling management hierarchy theories. It would make little sense for company leaders to deliberately promote their least competent employees to managerial positions with major responsibilities. Promotions were intended to reward competent employees for their skills, not remove incompetent employees from the line of fire. This is how it should be or not? Over time, however, many of these same experts would come to see the hidden wisdom behind the Dilbert Principle. In many large corporations, it became apparent that certain upper management positions had become far removed from the day-to-day operations of the company. It was indeed feasible to promote incompetent employees out of a regular department and into ill-defined middle management positions in order to appease incensed customers, dissatisfied co-workers or frustrated supervisors. 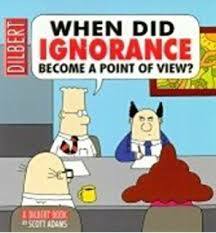 While the Dilbert Principle may have begun as a satirical whack at human resource practices, it has since become required reading in many business organization classes. The actual number of incompetent employees who have benefited from such promotions may always be a matter of dispute, but at least the corporate world does admit the Dilbert Principle is closer to the truth than first suspected. So, what seemingly looked absurd in the beginning, has rapidly evolved into harsh reality. ‘Unfortunately’ the Dilbert Principle is here to stay. 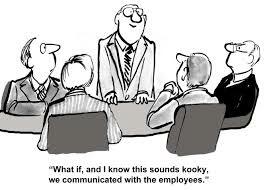 Have you encountered this principle in your work environment? Please share your experience in the comment box below. Or are you, like me, sick and tired of too many lousy bosses. Maybe you are thinking of leaving, but afraid of meeting yet another jerk of a boss. In that case I might have the perfect solution to your problem. You will become your own boss! Like I did and it is there for you too. Nowadays, we have the unlimited possibilities of the internet with numerous options to make money. Forget about all the scams, making millions overnight, promises of instant wealth etc. You choose a program that will teach and train you, support you 24/7 in your efforts to build your own online business. Wealthy Affiliate is the name. Established in 2005, it offers you the opportunity of a lifetime, by becoming an affiliate marketer. You can join them for a week, completely free, in order to test the waters. If interested you can read my full review of WA by clicking here. If you have any questions, please fill in the comment box and I will reply to you within 24 hours. 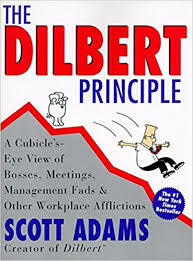 I really enjoyed reading the Dilbert Principle, I also loved reading the the cartoon as well. 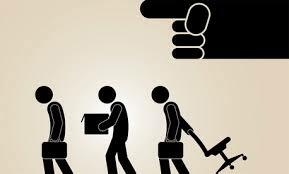 Working for a company and a boss is what many people are so accustomed to. It is easy to lay blame at the foot of the boss. Really when someone is having problems at work there really is only one person to blame and that’s one’s self. If you don’t like the way your job is then it’s time to change it. Many people will not change it or even try their own business. My advise to your readers is to make the jump and start your own business right here and right now! You can be a loyal and hard working employee, producing results for the company and still receive chagrin from a bad boss. Changing that situation is entirely dependent on your action. You can always move to another job or as recommended become your own boss.